Let us not engage with the thrust of this take—that Kobe was a greater player than LeBron James—for it does not rise to the minimum threshold of worthiness, even in a room full of children. 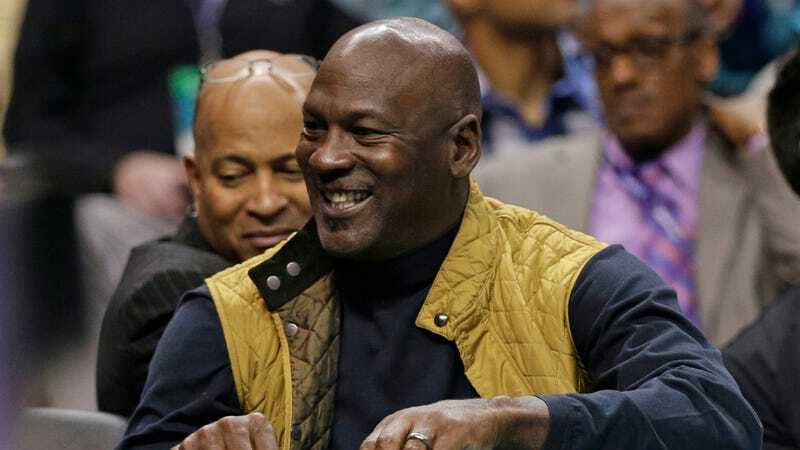 Let us, instead, acknowledge that there is a pretty obvious reason why Michael Jordan—winner of six NBA championships, and possibly the world’s most competitive human being—would use “COUNT THE RINGZZZZZZ” as the sole criterion for judging the greatness of post-Jordan-era NBA superstars, especially given what this criterion has to say about the one player of the last 40 years whose estimation in the eyes of NBA fans might rival his own. Let us ask ourselves if we can imagine any scenario where Michael Jordan would apply criteria to this discussion that in any way might threaten his assumed position at the top of a ranking of modern NBA players. Because Michael Jordan is who he is—the well known face of a deathless internet meme—this take will carry some weight among fans and players. Add it to the growing list of indignities faced by James this offseason.